Vying for Crisis of the Week, Demi Lovato's dog was eaten by a coyote in her own backyard and a dentist shot a famous lion. Animal welfare advocates and homegrown terrorists (PETA) are all over these stories. We shouldn't own pets. Coyotes are evil. Meat is murder. Don't eat dead things. Newsflash, vegans: your plants are as dead as my steak. 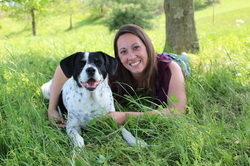 Losing a pet in one's own yard is undeniably violating both physically and emotionally. I raised a hen years ago that would ride on my shoulder and chirp part of the Mentos commercial jingle. One morning I found her headless corpse at the door of the coop. A weasel (probably) had managed to catch her by the neck, or possibly gotten into the coop but couldn't leave with her. I was devastated, refused to go near the coop for weeks. A few years ago a young couple rented the house bordering the woods behind ours; they knocked on the door about three days after moving in. "Have you seen my mom's dog?" the girl asked, "It's a Pomeranian. We're watching it for her and we let it out...." That dog is gone, we told her. There are three packs of coyotes around this hill. We're lucky not to have more loss. I've seen coyotes hunting dogs; if the dog is too big to kill, a Judas coyote will entice it to play. As the dog's defenses lower, the coyote will draw it away from home, luring it to where the pack waits to make the kill. Feral dogs hunt the same way. Nature is brutal and sometimes it lies. Does PETA, a group of radicals who believe pets would be better off without human companionship, think about our dogs becoming cannibals? I feel for Ms. Lovato. I hope she finds peace; she lost a family member in a brutal tragedy and that grief deserves support. I'm sorry also for her little dog, who died the worst kind of death. And I'm sorry for coyotes everywhere, who will face demonization yet again because a member of their species took advantage of an easy meal. Development forces "appropriate" prey to move elsewhere, creates hazards such as roadways that pose dangers to both coyotes and their natural food sources, and puts pressure on diminishing territories. Coyotes serve a purpose in the ecosystem but it is becoming increasingly difficult for them to live the lives they were meant to live. Here in the country we acknowledge predators, but we do not destroy them. If you kill the predator you know, you create a power vacuum in their society and in the ecosystem that may be filled by something worse. Instead, we manage: chickens must be locked up at night, livestock guardian animals patrol, alert, and defend, reflective dots on the fenceline make predators think others are already in the pasture, and as a last resort repeat offenders are trapped and killed or relocated. America is outraged over the death of Cecil the lion, whose life was bought by a dentist for $55,000. I can't help wondering if we'd be so upset for a lion who wasn't famous. I haven't looked into this particular trophy hunt, I try to stay out of discussions about which animals should and should not be killed. I hear Cecil was led to his untimely and unnatural demise outside his home area by baiting. This is a practice I absolutely condemn. Baiting creates expectation and dependency and it isn't fair. Animals who are baited are not hunted, they're led to slaughter. I heard that Cecil was killed by an arrow. Kudos to the dentist if he made a clean shot; broadheads are by far the fastest and cleanest method of death (aside, perhaps, from severing the carotid artery). It's still a slaughter, a set up, and more despicable because the dentist did not have a use for Cecil (alive or dead). Kosher law forbids eating the flesh of a predator; the only predator I've eaten is alligator and it was weird. I can't even say what was unsettling about it. Something about the texture, perhaps? Etoufee was fine, but the ribs...I could never do that again. I understand some people eat everything they kill, and in those societies the lion would have been used. That is right, and just, and fair. The lion would have been thanked for the life he provided others, would have been killed and processed with respect. His sacrifice would have been acknowledged. But that lion might not have been Cecil - the pride would have been watched so that (as with the coyotes) a power vacuum wasn't left, society wasn't rattled. Hunters care about the health and well being of the population they intend to harvest; a portion of licensing and other fees goes toward conservation and education. I know a deer hunter who has made more shots with his camera than his gun, he finds them breathtaking. Another man feeds the deer in his area, gives them mineral blocks and calls DNR officials if any look ill - but his hunting ground is in another area. Some trophy hunters and many domestic hunters portions of the animal they kill to families in need; a deer can sustain a family for the winter, an elephant can feed a village. Hunters know that all lives matter. This dentist killed Cecil and left him to waste in the dirt; the only life that seems to matter to him is his own. Cecil's death was not ethical. In an effort to resolve their need for sense and justice, various groups have adopted Cecil as their patron martyr. He is a symbol of the need to stop all hunting, his corpse will feed scavengers and reminds us that meat is murder, all animals are victims with feelings and agendas. Beware of blanket statements, of loud bandwagons and high soapboxes. There are more deer in my state than there are people; DNR authorizes a certain number of hunting tags per year to help keep the animal populations healthy and proportional to available habitats. Meat from wild animals is better for you than that found in grocery stores, and the animal has had a good, natural, free range life. Just because something costs a lot doesn't mean it can't serve the same purpose. Is it right to hunt large game? I don't know; it is my hope that natural resources officials in other countries control their tags in a similar manner, and my fear that greed carries more weight than animal to acreage or other statistics. Greed made the dentist a bigger villain than the coyote who ate Demi Lovato's dog. Zeke is completely besotted by the ducklings. While on the surface his behavior appears instinctual, I truly believe he loves them. Border Collies encounter many animals in the course of their work. Zeke is happy to chase the poultry, herd the sheep, and harass the horses. He has no qualms about eating bugs, it does not bother him to find a dead bird or rodent in the yard. 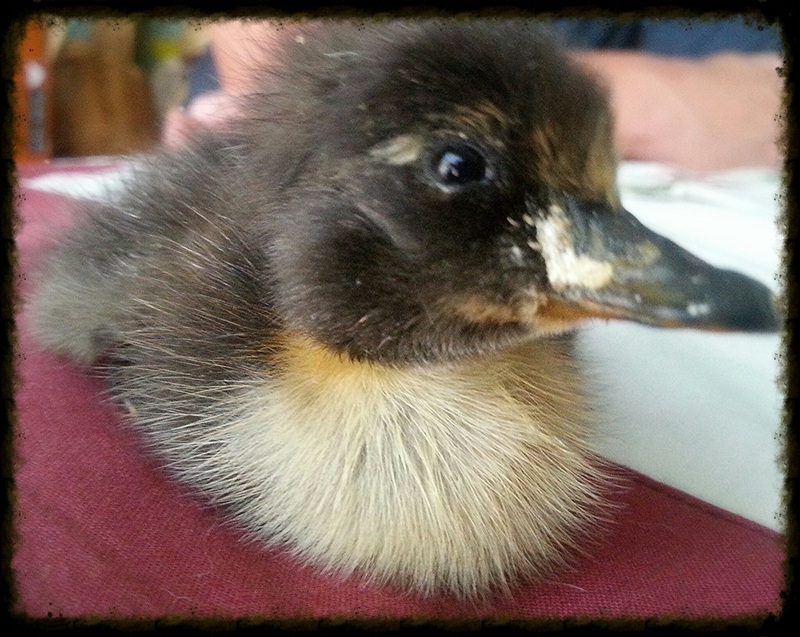 These ducklings are the first babies in the house since Champagne died. I struggled with that; Zeke is young, male, and overeager. He lacks a mothering instinct. Indeed his herding drive is an extremely fine tuned predatory instinct, therefore he can never be trusted not to injure something smaller than he is (even though I'm sure it would be inadvertent). Still, if his greatest desire is to round things up and keep them in one spot, his secondary agenda is to keep his flock safe. It didn't occur to me unt this morning that Zeke probably knows these ducks better than I do, likely expected them, heard them while they were in their shells. Of course it would follow that he'd sit with me watching Peanut breathe, licking him beak to tail until (s)he was clean. Peanut and the other ducklings were, in Zeke's mind, established members of the Ballyhoo flock. Zeke waits by the door of the guest room every morning, hoping to be allowed to be near the ducklings. He lies down at attention, likely would watch them all day - they are in a box, needing no further herding. The cats are predatory. Frida is curious but not obsessive. Zeke is so concerned with his ducks that when he heard a duckling peep on a Facebook video I watched last night he leapt up and searched my phone, my lap, my hands and chest, and the entire couch. 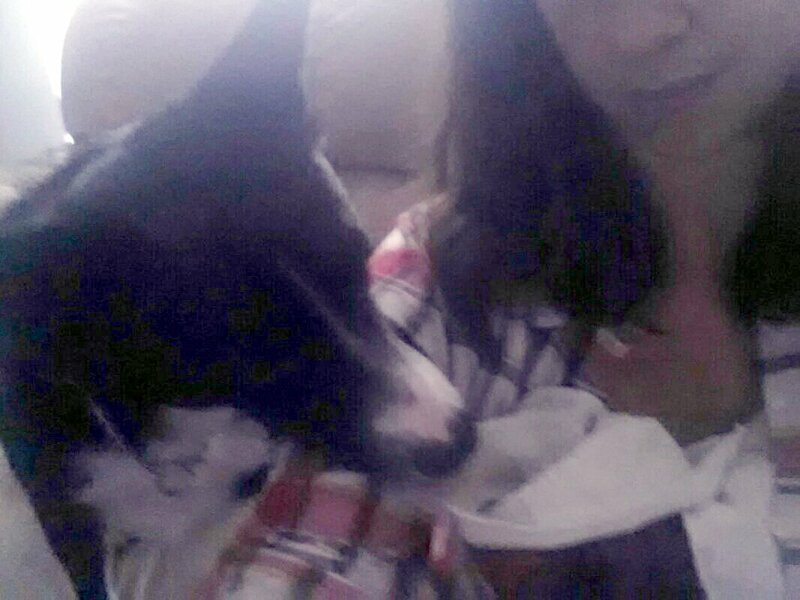 When a Border Collie cares for you, it's for life. 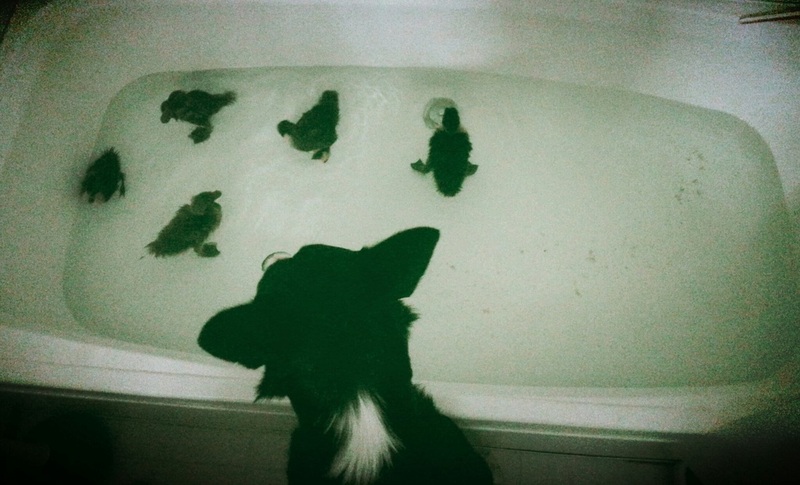 Every two days I fill up the bathtub and let the ducklings swim while I clean the plastic tub they call home. Usually I don't allow animals in there, but Zeke was so earnest today and Nick agreed to supervise him. He sat perfectly still for about twenty minutes (possibly the longest he's ever been still while awake); periodically the ducklings swam right up to him. Peanut and Brown Duck even kissed his nose. It got too much for his BC brain - quivering, the whites of his eyes showing all around, he raised his lips a couple of times - and I turned him to look at me, break The Eye, and relax. I live a small life. I am mostly unconcerned with politics, trends, gadgets, money, and celebrity. My world consists of art, music, friends, small business, the science of agriculture and animal husbandry. I live a small life, but a strong and important one. I watch the weather, I watch birth, I don't watch the news. My morning entertainment is a beagle watching the cats watching a cicada in the grass. My late night talk show is hosted by an obstinate rooster; a chorus of sheep provide the musical act. This week a man set his estranged wife on fire and killed himself, a man shot people trying to relax in a theater, and a 15 year old girl smothered her infant in a hospital bathroom. Some of my friends have used these incidents as political soapboxes. It sickens me. I saw an ad claiming that Millenials will vote for Bernie Sanders because he is a candidate they can identify with. They need to buy less of what the media is selling and identify with things that matter: the reality of a life well and honestly lived. If we took more care with our own small programs, the big picture would take care of itself. What I do matters to one sheep. That sheep matters to my fiber processor, to the knitters and spinners who buy the wool, and ultimately to the person who will wear the finished product. That is a chain of positive difference. What I do matters for one duck, who matters to Zeke, who matters to me. That's a circle of concern. My challenge to you, dear readers, is to narrow your focus this week. Do something that matters as close to home as you can, and know that the difference will ripple outward, like five little paddling ducks. Zeke has been hovering around the incubator all day like an anxious father to be. He knew Duck #5 was going to hatch before I did - jumped on me, licked me gently and looked pointedly into my eyes. Duck #5 had a long but straightforward birth, yet hasn't managed to wriggle free of its umbilical cord. It was chilled, even in the incubator, so now I have a duckling and his former home wrapped in warm towels down my shirt. I have found that all babies like to be close to the heart, and that birds in particular heal faster when carried against my chest. Tank tops with built in shelf bras create a perfect hands-free cradle. Zeke has licked the duckling. He follows me, waiting for me to sit down so he can tuck his nose into the warm towels and assault the baby with his doggy snarfles. There's nothing to do but wait. We're both anxious now. After three weeks of rain and flooding, with the youngest lambs just over a month old, I allowed Zeke to assist me on my morning rounds. It's important that he meet the new animals: the peacock, Tim the ram, the new hens, the lambs. He accepts them, widens the borders of his already giant heart, and extends his protection. While Frida cowered in her Thundershirt, Zeke paced from the door to the window, begging to be allowed to check on his flock. I told him he wouldn't find them during the storm, they hide under the back deck and in the duck house; the constant lightning and echoing thunder would disorient him as it does the lambs and he would wear himself out searching. He didn't believe me, but I didn't give him a choice. Zeke lights up when I grab the crook or his leash. As expected, we've suffered some training setbacks. His "down, stay" became "down and creep forward and inch at a time until mom notices". "Here" alternated between "stay" and "run the other direction". He was 70% behaved, and that's something. He didn't chased the ducks, he watched the peafowl from a "down/stay". The peahen remembered him, she stuck her head through the wire of her enclosure and touched his nose. Zeke crept up on the flock while the ewes were eating breakfast, sniffed the lambs' butts, and retreated under the chicken coop. He held the chickens in the corner of the coop with his eye while I cleaned and refilled their food and water and gave them a flake of alfalfa. He works cheap - I gave him an ice cube when we finished; he's afraid of the ice maker but loves to chew ice. They say the ten minutes a Border Collie spends on the field during a trial mentally exhausts them the rest of the day. When Zeke is given a task early in the day he behaves better the rest of the day. Border Collies find joy in work, they attach themselves to those who provide it. This evening Zeke climbed up the back of the couch and perched over my shoulders like a cat. He's been distant lately, petulant, passive aggressive. Tomorrow his job will be keeping me company to and from Fiber Frenzy. I need to replenish their inventory. He considers navigation and anti-theft his jobs as well. Now that the rain has passed, we'll start working again. By the time we have our fall shearing day I hope to be working with whistles only. It only takes a second. Every parent knows that. There were a couple of near misses on the farm today that, a second longer or an inch different, could have been truly disastrous. Yesterday Daimhin left for his new home and was replaced by (Tiny) Tim, an outstanding two year old Shetland ram. We've been allowing the boys to graze the front yard since it's too wet to mow, however I didn't want to risk a strange ram having access to the front door. We put Cake in the ram pasture with Tim, Cake is older and big enough to stand his ground. This afternoon the boys decided to leave the front yard and graze on the side. Fine, I said, if you don't want to be near the house you can go meet the new boy. Rams play by prison rules: find the biggest, baddest guy in the yard and beat his ***. That's exactly what Aillil, the second smallest sheep on the farm, did. He caught Tim by surprise - Tim has enjoyed freedom from competition and unlimited access to ewes until now - and battle commenced. Tim has at least fifty pounds and a year of growth on Aillil, and a much thicker neck. Aillil has (friendly) experience and the aggression of home defense on his side. After a couple of minutes, Tim began to run Aillil over. Augustus, Aillil's half brother and the youngest of last year's lambs, called for peace. When the rams didn't listen, he stepped between them. Rams are designed to hit and be hit directly head-on. Rarely they'll lock horns, gouge one another, or break each other's necks. Commonly, one ram will back up or run away, signaling that the fight is over. Augustus didn't want to wait that long. Tim and Aillil charged toward each other, caught Augustus in between them, and backed up for another hit. Augustus stumbled backward, his head lolling on his right shoulder. One second, the best of intentions. My heart stopped - would I have to shoot this precious sheep? The peacemaker, the shy, surprise late summer lamb with delicate features? Augustus staggered and shook his head, eyes rolling. Tim and Aillil crashed forward; so did I. Augustus and the wethers jumped (sheep are sensitive to quick movement, even from their shepherd), suddenly holding his head up straight. He trotted around, shook his head again, and resumed observing the fight. Fatality avoided. No one would expect similar violence from something as innocuous as a spinning wheel. I've caught up two cats while spinning, no harm, just tangled. Having the wheel fall over on me is about the worst thing I could imagine. This evening Zeke ran up to me as I sat spinning. I don't know what was racing through his tiny Border Collie mind. Maybe he wanted attention, maybe he was seeking solace from the waves of thunderstorms passing overhead. As he stepped back, some part of him - his eye socket, I think - caught on my orifice hook. He scrambled to retreat, screaming as the hook held fast and the wheel crashed down on him. 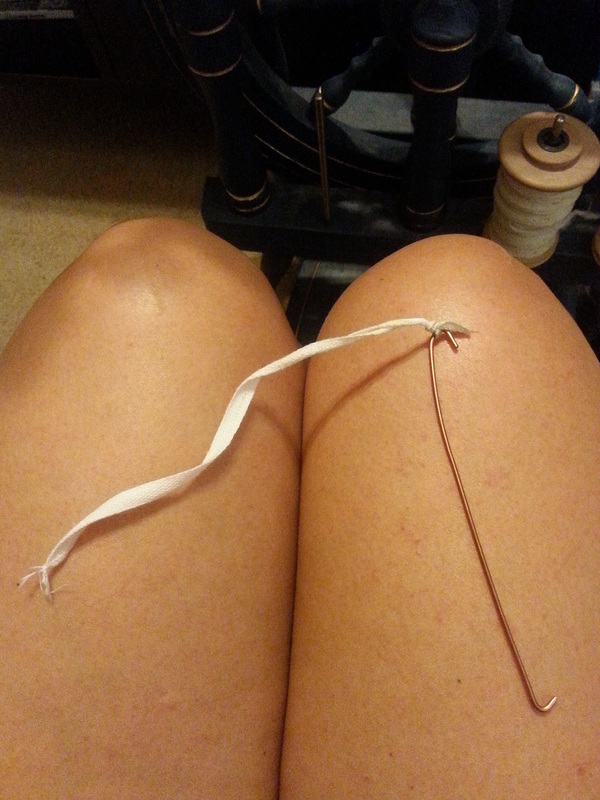 The cotton band that holds the hook on the wheel snapped in half. 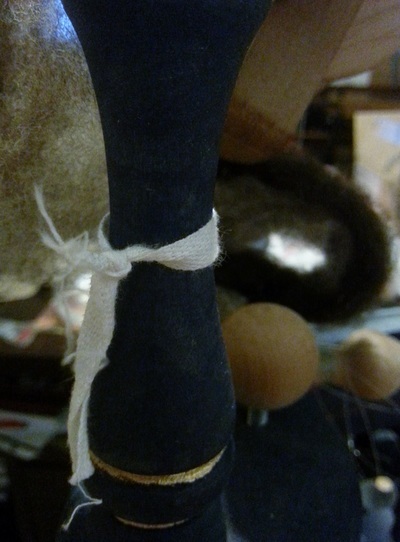 There was a spiral on the handle end of the hook; now it's nearly straight. The flyer popped out of its bearings, the brake band popped off, the Mother of All's hinges bent. Thankfully, both dog and wheel seem functional. In a second, my working sheepdog could have lost his eye. My source of income could have broken. That didn't happen. Zeke hid under my bed. When coaxed out, he wanted to play. Frida is sticking to his side, comforting him, enticing him into the living room. His eye is weeping. That's good, it will flush any possible infection. We'll watch him carefully and he won't be allowed near the sheep until he's healed (a Border Collie's worst punishment). In both cases, it wasn't fair, it wasn't right, but it could have been worse. I'm truly thankful all is well. This morning Ballyhoo didn't live up to its name. I heard what I have been waiting for since spring: nothing. Tropical storms have brought enough rain that finally, finally the grass has bounced back and the sheep can graze. If you wish to raise good fiber, you must grow good grass. Nutrition is the best part of strong, lustrous wool, of the fat reserves that allow sheep to grow more downy undercoat and less armor-like guard hairs, and of course a good diet results in mighty lambs that delight us with their zest for life. I sometimes think winter is easier than summer, though more expensive; at least I can depend on cold and needing to feed hay. Not knowing if I can depend on rain is worse, and wet plus heat brings parasites. In the ewe pasture our fat growing lambs are beginning to use their rumens, and this additional animal load means I'll need to continue supplementing with hay. Nonetheless, they'll race across consistent turf now. The new ducks, when they hatch, will look for bugs among the tender green blades. I feel I should dance for the grass, wassail it, offer thanks to the universe in some tangible way. Maybe a prayer of thanks as I dump wool tags in the compost. Some people complain when it rains because sky water means they'll have to mow their yard. I admonish them to remember that the rain is a blessing to the farmers who grow their food. I am mindful that, while this rain has brought my pastures back, the storms that caused it have wrought damage elsewhere. They'll be in my prayer too. Frida is absolutely at home with us. She's been bathed, gone to the vet, and met our neighbor who fell as in love with her as we are. She snuggles with us, with Widget, and with Zeke. The toughest part of her new life is deciding where to nap! Frida brings a spirit of optimism to Ballyhoo; she overcame a lot to be with us and she greets everything and everyone with joy. Zeke is happy not to be an only dog, but due to Frida's separation anxiety he doesn't get to go places with me anymore. I think he misses that as much as I do. Anyway, we've officially adopted the Sneagle (Snuggly Beagle). Six lambs have been born since Frida's arrival. For some reason every ewe has given me a single this year, even the ones who normally twin. Badger appears to have 80% of the lambs, a wonderful legacy from a truly champion ram. The grass hasn't grown in the pastures this year as in past years, despite reseeding three times. We've never stopped feeding hay. I worry. I have confidence in Zeke though, and am beginning active shepherding. This means letting the sheep graze outside their pasture, uncontained save for my staff and Zeke's presence. It's a challenge for us both, the wethers are dog broke and don't care where Zeke and I want them to go. It's good practice for him, good grazing for them, and less for me to mow so we will continue. 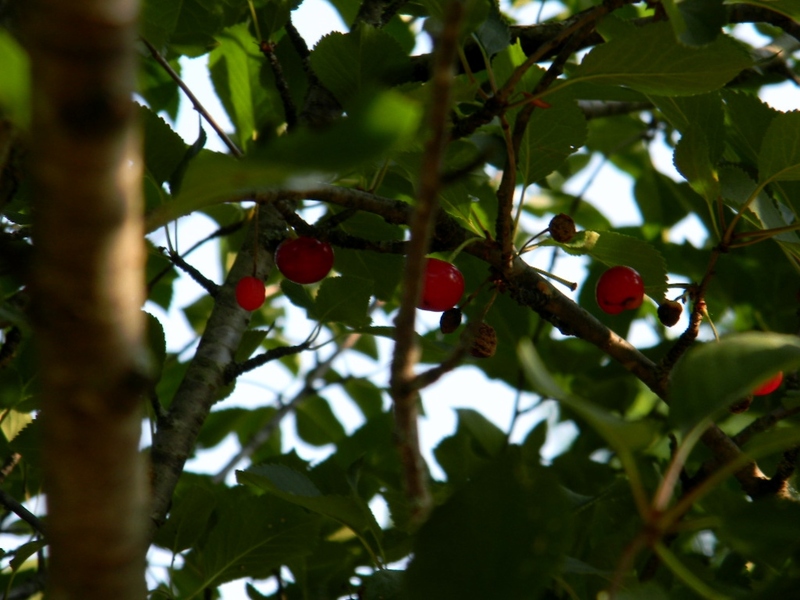 Through active shepherding I wound up in a part of the pasture I don't normally walk through, where I discovered that the cherries were on! 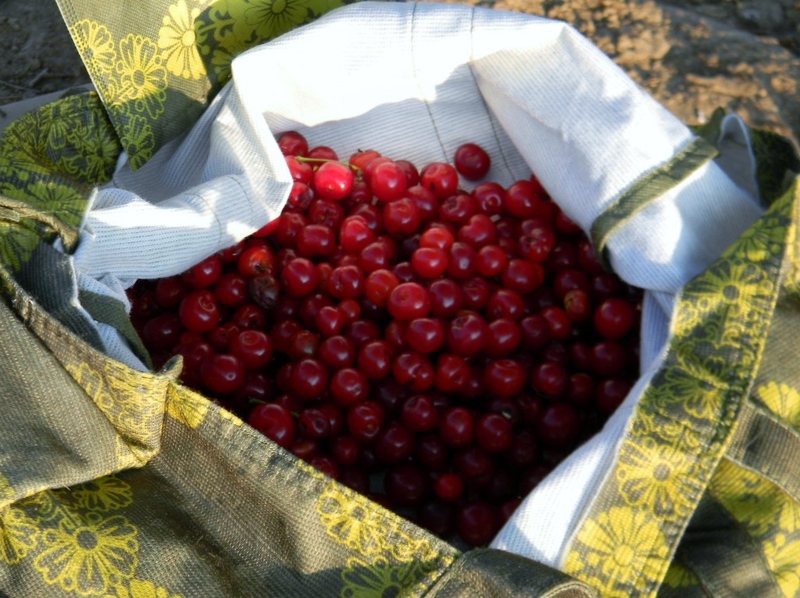 Yesterday was 102 degrees and today not much better, but I waited until almost dusk and picked 2 lbs of ripe cherries. For those of you concerned about my neck, I didn't climb the tree. I use my mounting block and pick what I can, leaving the rest for birds. The horses always come over to observe me; Penny tried to use me as a scratching post and Bullet munched happily on the branches I pulled down. Horses are generally not size-ist, they don't mind when I am taller than they are. My dad is coming in two weeks. Maybe I'll bake him a fresh cherry pie.